Zeel’s Massage Therapist network extends throughout the Miami area, providing high-quality, on-demand massage in North Miami, FL. A massage therapist will come to your North Miami home, hotel, or office in as little as an hour, or schedule in advance. Relax and recuperate with a spa-quality massage in the comfort of your North Miami home. There are over 9,000 massage therapists in the Zeel network nationwide. Here are a few that are available for in-home massages in North Miami. Licensed massage therapist Priscilla Schmidt has been practicing massage therapy since 2009. Priscilla began studying Thai massage while spending time in Thailand and continued her training here in South Florida. She is also experienced in Swedish, deep tissue, prenatal, hot stone and medical massage. Combining the best of East & West for a holistic approach to her treatment, she appreciates the healing power of massage as well as the benefits of relaxation. Priscilla has worked in some of the most high-end luxury spas in Florida, including the Lapis Spa at the Fontainebleau and at Exhale in the Epic Hotel. 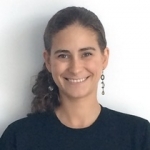 Licensed massage therapist Karen has been practicing since 2001, after graduating from the Southeastern Institute of Oriental Medicine in Miami. Specializing in Swedish, deep tissue, shiatsu, and lymphatic drainage, Karen takes pride in her ability to listen and cater to her clients' needs. 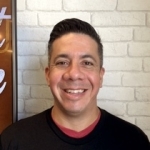 Licensed massage therapist Ernesto is passionate about helping clients achieve wellness through massage therapy. He is a highly motivated professional who helps clients improve their flexibility and strength through massage therapy. He graduated from Hollywood Institute of Beauty Careers and has since worked in various spas, including Karma Seven Day Spa in South Florida. Ernesto has extensive experience with sports and deep tissue massage. He is also well-versed in Trigger Point and Swedish massages. Whether residents of Biscayne Landing preferring in-home massage, or visitors enjoying in-hotel massage after a day at Oleta River State Park or the Museum of Contemporary Art (MOCA), Zeel clients appreciate the luxury of massage in NoMi when and where they need it most—and the ease of ordering massage delivery with just a few taps on their smartphones. Our massage therapists arrive at your door in as little as an hour, ready to provide you with customer service like no other. 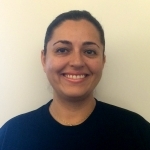 Book the best massage in North Miami with Zeel On-Demand. Looking for the “best massage deals” near you? Perhaps “massage North Miami”? You’re at the right place. Enjoy the luxury of mobile massage in NoMi 7 days a week, even on holidays, from 8am to 10:30pm. Expert Zeel Massage Therapists are always on call for a Swedish massage, deep tissue massage, prenatal massage, or sports massage to be delivered to you. Book a massage for yourself or schedule a couples’ massage for today, or for up to 30 days from now. Avoid trekking, avoid phone calls, and avoid waiting: We provide the perfect blend of class and convenience and make sure you’re not stuck in a spa waiting room or left on hold. A Zeel massage is more than the best massage you will ever have—because it is also the easiest. Book a Zeel Massage in North Miami, FL today. Zeel provides Swedish massage, deep tissue massage, prenatal massage, sports massage, couples massage, and chair massage in North Miami.